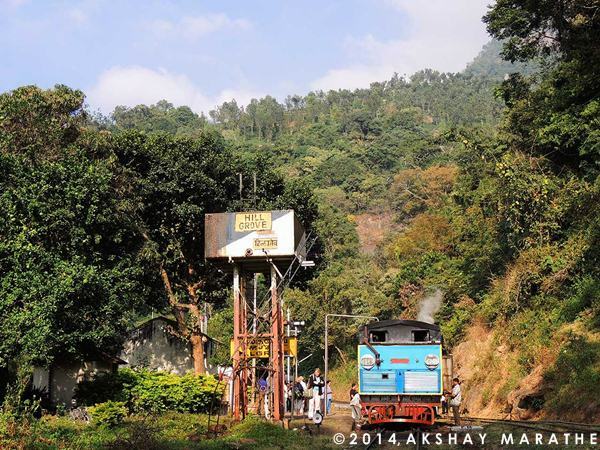 The Nilgiri Mountain Railway - a photologue! The description of this section reads "Photologues for travelers using public transportation". But this photologue is a bit different! 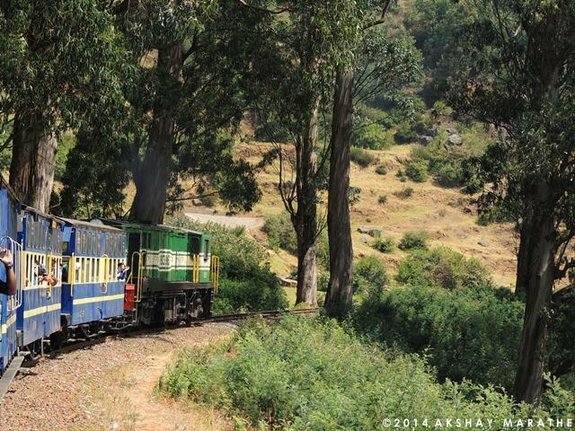 This is more about the the transportation itself, rather than the place visited using the transportation :) Read on to know more. 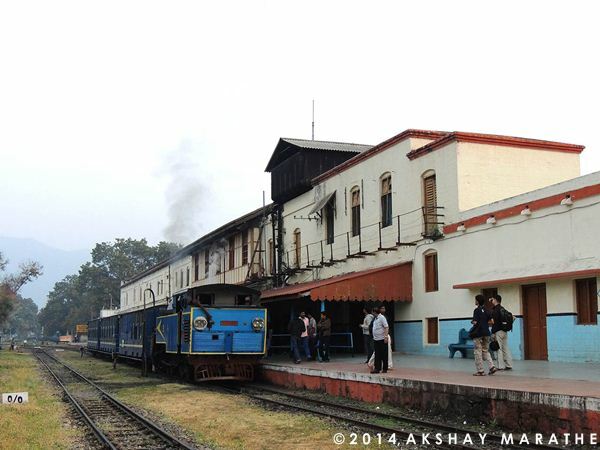 On one cold February morning this year, we were deposited at Mettupalayam by the overnight express from Chennai. Having a lot of time to spend, we had some piping hot breakfast at the refreshment stall on the platform. We had the coveted seat #8 in the first class coach! On that day, new blue coaches were to work the train. Here are some photos & videos from the journey! 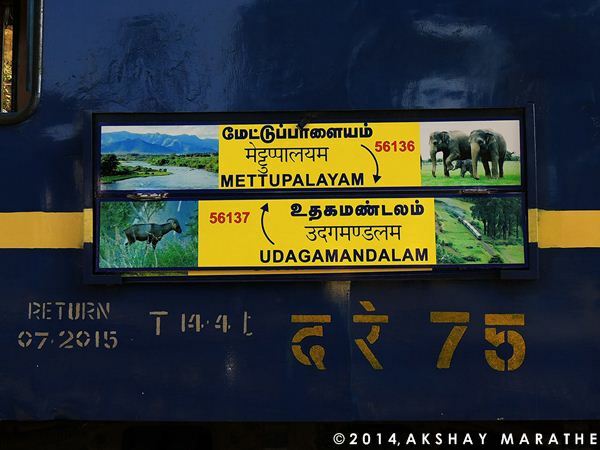 Some time was spent exploring the station premises at Mettupalayam. 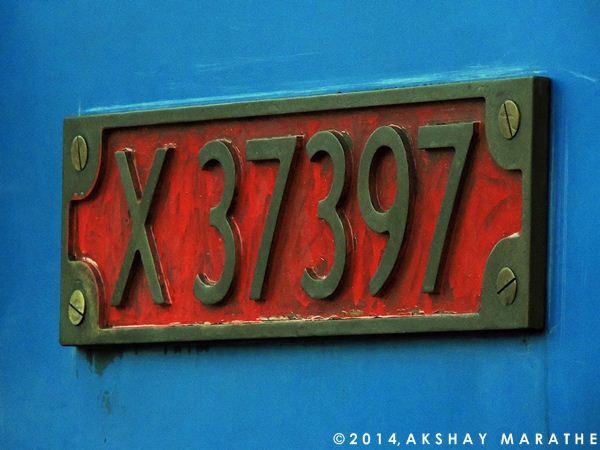 Number plate on the steam loco to work our train. 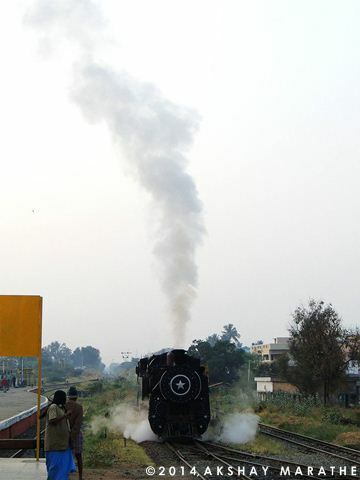 Steam loco sends plumes of steam high up in the air while it was getting attached to the rear end of our train. Ready for departure from the quaint little station! Our train scares away some peacocks on the plains. Not a very good video, that is all I could manage. We cross a major bridge on the Bhawani river. 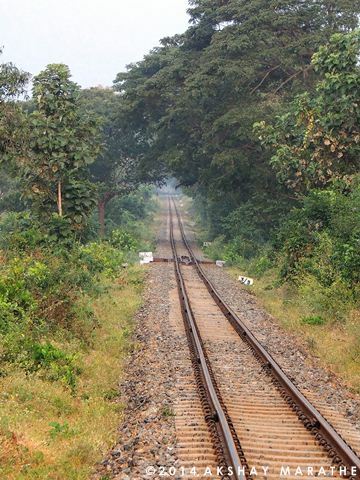 Long straight track, something that one wouldn't normally associate with a hill railway. After the 7 km straight section, we enter the hills and steep slopes at Kallar! 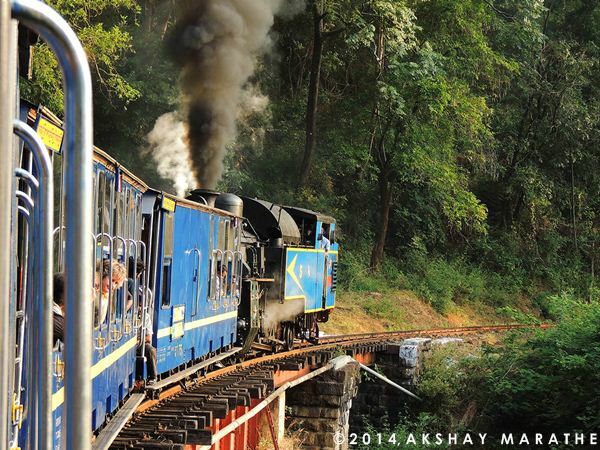 Our loco working with all its strength to push the train. Destination boards on the train.. This is how the view is from first class! 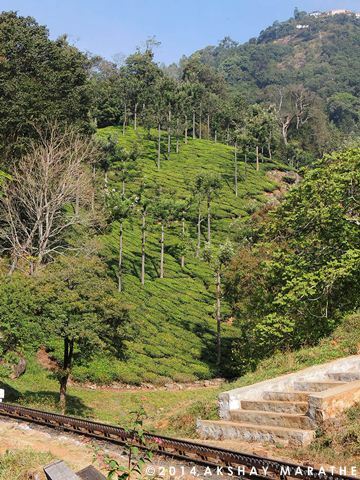 Tea estates flank the tracks on one side at Runneymede! 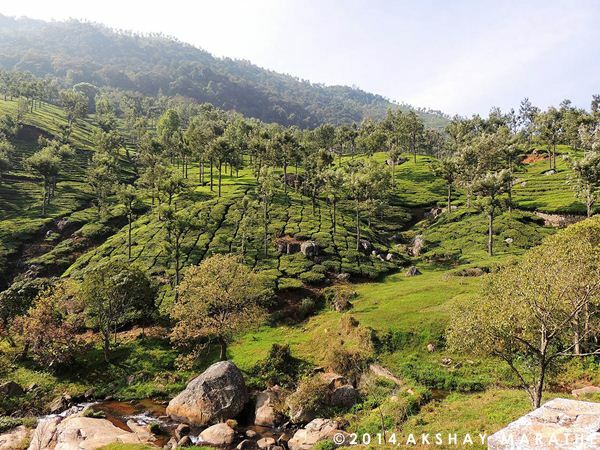 Tea estates on the other side too, along-with a stream in between. A magical place! But all good things come to an end, and we leave this magical place behind! 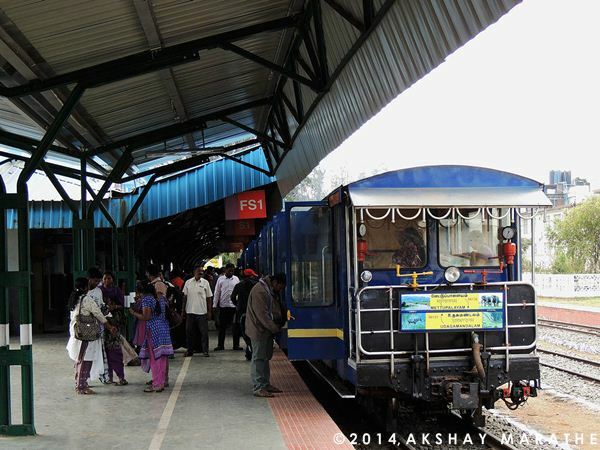 Our train after arrival at Coonoor. Nice Pictures. Waiting for more. 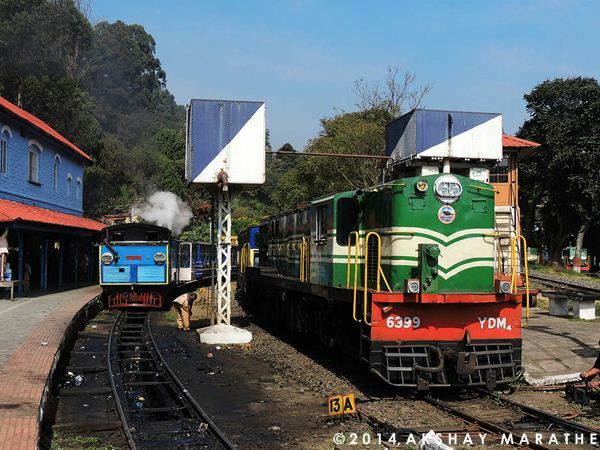 Steam loco gives way to diesel at Coonoor. The tail end of our train. 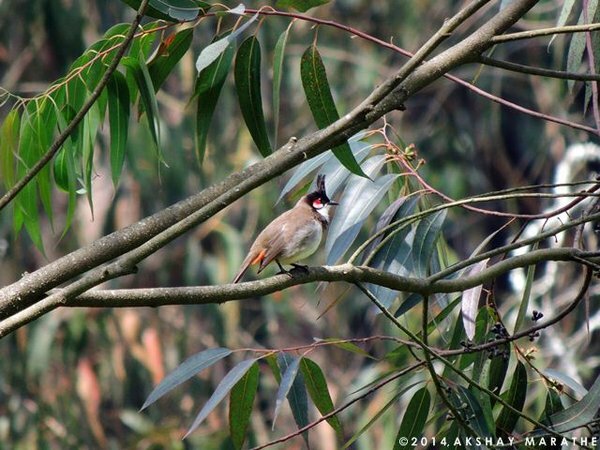 A red whiskered Bulbul at Lovadale. 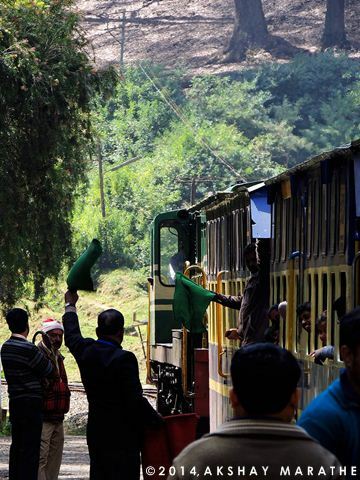 Numerous green flags are waved signalling all clear for departure from lovadale! 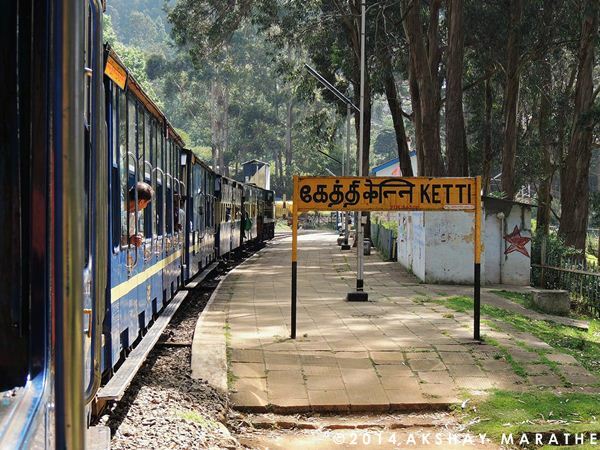 Upon arrival at Ooty. End of an experience of lifetime.